I can teach you the concrete steps to get the best education for your son or daughter. From choosing & applying to great schools, to having a stress-free, productive relationship with teachers, to preparing your teen for success in high school and beyond–I’m here to help. See how I can help you! Download one of my free tools to help you get the best education for your child. How do I know if a school is right for my child? I want to find the right school! How do I work with my child’s teachers? I want to help my child gets what s/he needs! Is my high schooler is on track for success? I want my child be successful in school! We'll support you through the application process to make sure you put your best foot forward. 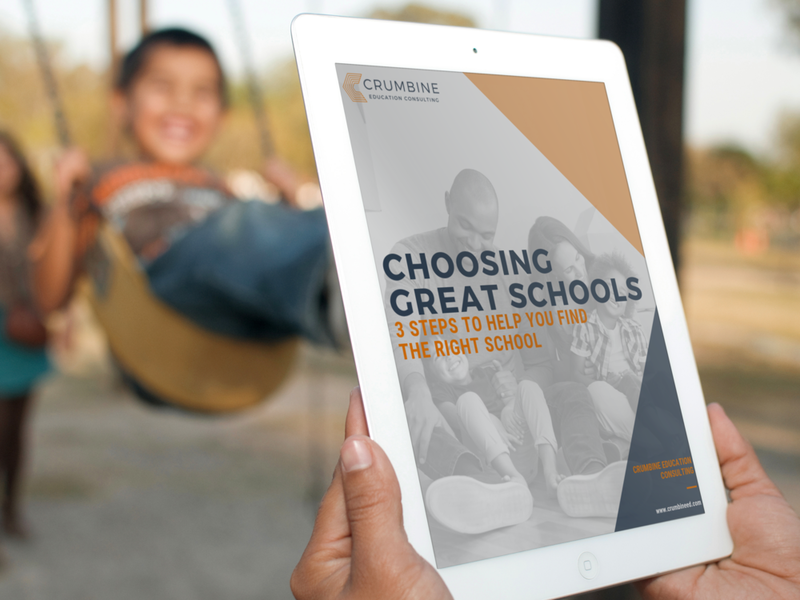 We'll give you a list of 3-5 match schools and a guide for getting the most out of school tours. We'll help you figure out exactly what you're son/daughter needs most from a school. When faced with a very difficult school choice decision, Aisha provided our family with guidance and expertise about both independent schools and the HISD magnet program. She spent time to understand our concerns, what motivates our child and the needs of our family. Aisha’s insight and suggestions are tailored toward finding the best fit for the individual student. Our conversations with her were instrumental in our decision making process and I would recommend her to anyone in a similar situation.